Move the World by Walking. 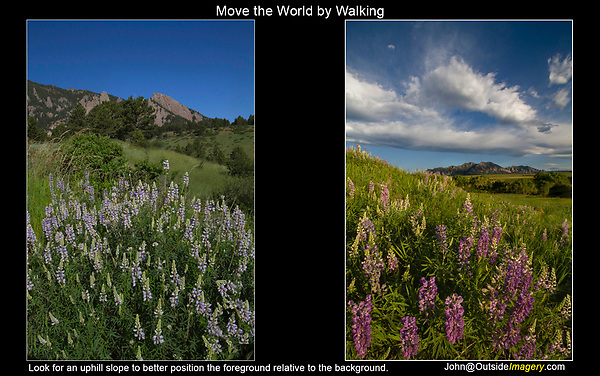 Look for an uphill slope to more easily position the foreground (flowers) relative to the background (Flatirons rock formation). Boulder tours.